I've purged 184 items from my home in August so far. I'm just trying to make it to 495 items purged for the month. If I average 125 items per week I'll make the goal. I'm slightly behind my goal so far but I have exceeded the goal most months. I've been purging a long time so it bound to slow down at some point. 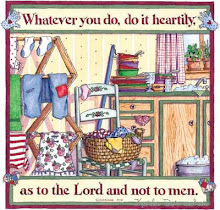 This week I'm purging stuff from my kitchen storage, my craft office, my hobby stuff, and my grandkids stuff. It took 4 days to completely clean, organize, and purge the kitchen along with my basement food storage. I actually put these in the care package envelopes that I am making to mail to family and friends. I'll probably mail several to my daughters over a couple months time. I have 10 that I'm putting together. I'm slowly buying a few little things and adding things I find that I don't need or use. I hope my packages brighten someone's day. I'll be mailing them out mid-September. Items from my cookbook cabinet. I hadn't purged anything in a couple days. I spent time with my daughters and grandkids. I thought I would go through my cookbook cabinet. I think 5 rattles is a good amount for a baby so I'm purging 3 fabric rattles that are harder to wash than plastic. I have subscription to Fitness magazine. I've been keeping up with them but its time for the older issue to go. I've never done Curves but purchased this booklet at a thrift store then never used it. I like exercise DVDs to use at home. I bought this set of yoga videos last summer but didn't like them. I forgot my punch bowl at my youngest daughters wedding location last year and never purged the cups. The plates, bowls, and cup set is my everyday dishes. I've wanted to get new ones for a few years. I've been collecting replacements at thrift stores for years and storing to replace broken ones. I'm just going to deal with a few broken dishes as they happen and eventually buy new. A cheese cloche that I put on a candle holder for height but realized its not very useful to me. I like to cross-stitch but these projects are not my style. Book, Slippers and other odds 'n ends. I donate each newer book to the library after I read them. I put my initials on the back page and like to see if the library keeps my books. I donate older books to a local Clothes Closet Charity. I have 2 pairs of the same slippers and one pair went bad. I keep a pair in my closet downstairs and my bedroom. I like to wear slippers in the house.